Teaching children Salah and encouraging praying at the mosque no matter what life throws at them isn’t easy but they can be motivated. 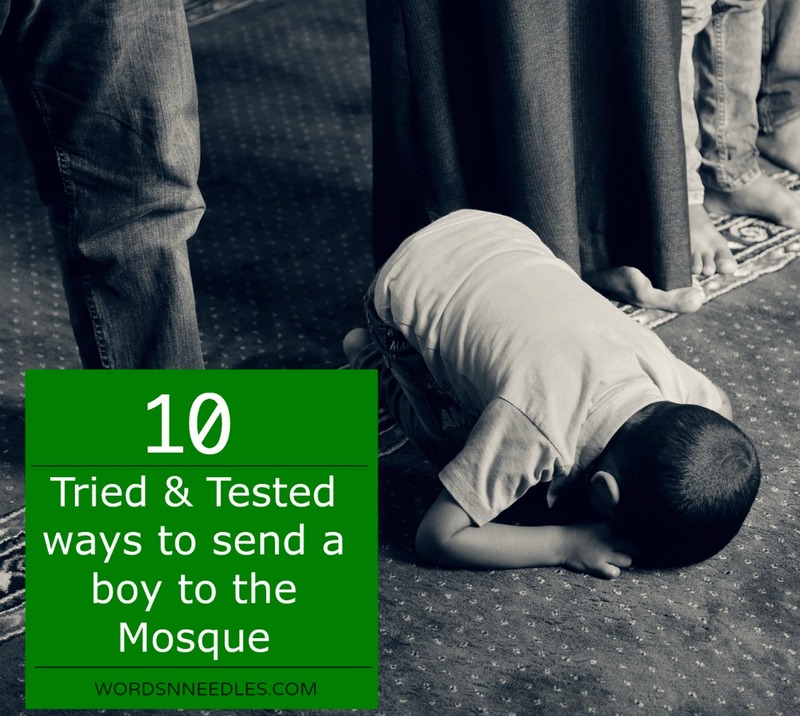 I am sharing 10 ways you can help your child plus daily routines that can help them make it easier to perform salah at the mosque. Like all parents, I want my child to be the one who establishes prayer even behind my back. I started him on his journey of love for salah from as young as I could. Although he was just a preschooler then, he still enjoyed praying with the Adhan. It was almost like I had succeeded at helping him form a habit of praying on time. But then he turned 9 years old and the real test began. How to encourage Salat and praying at the Mosque from a young age. It wasn’t enough that he prayed on time. I want all the male members of my family to go to the mosque. I wanted to start my child young so it formed a habit but at the same time, I wanted him to love salah; to enjoy it! We started training our son to go to the mosque for prayers when he turned 7 yrs old because at that age they are more willing and enthusiastic to try. When children are under 7 years old, getting them to pray with you or on their own is not that much of a problem. They watch you and they get inspired. I have two daughters in Kindergarten and Alhamdulillah, they follow me in their Salah but I must add that they are very small still; so for them, it is more of a game than actually praying. When the boys turn nine or are older, training them to pray on time and go to the mosque at the same time becomes a challenge. Although this is the right age to pray, they don’t. In our house, the game plan has been changing over and over again. Initially it was all a rosy path because tweens treat going to the mosque for prayer as a new found freedom to get out. But gradually the enthusiasm starts to crack. I have seen this with my younger brothers and now the experience with my own son. Fridays, are no problems for us because together with his father, he has a fun tradition that he is very fond of. My husband likes to ‘discover’ new mosques. He takes our son along and they love talking about it after. Through the week too, they are pointing out places they should be going. It is through this tradition that my husband has encouraged my son to love Salah as much as he himself does. But going next door to the neighbourhood mosque for the daily prayers… that is is difficult! He always needs motivation. Praying 5 prayers at the mosque during school days… Is that possible? My son gets up at 5 in the morning for school on weekdays. His bus arrives at 6am so it is a little difficult for him to get dressed and head to the mosque for Fajr. He prays Dhuhr in congregation at school. He comes home at 3pm. Asr is at 3.30 or 4pm depending on the seasons. Usually, he prays the remaining three prayers at the mosque. I try not to be too hard on him so sometimes, he will miss either Asr or Isha’a at the mosque. We try to aim for at least two prayers at the mosque so that he can get his habit right. On the weekends though, there is no leniency. He must go to mosque for all five with his dad. It isn’t easy sending them to the mosque, I must warn you. 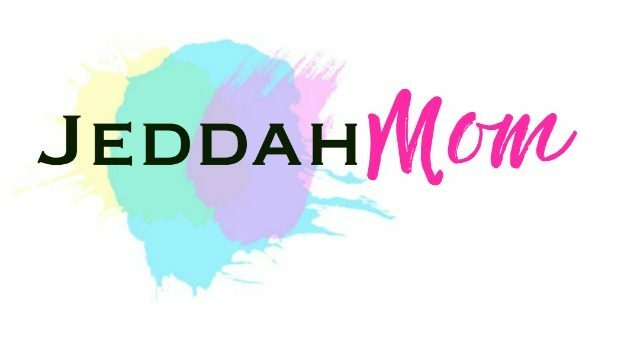 If you are reading this article and are a mum to a boy or more, then I am sure you know my struggle. They are forever making excuses to stay at home. Sometimes, you can see a legitimate reason but mostly it isn’t so. No doubt, they are little and it is difficult to leave your Lego and go for prayer. It is even more difficult to stop playing with your friends to go to the mosque. That life will always be. We are always doing something with our time but prayer is the call from heaven. The pause button that you have to press in order to revive yourself. I often tell him that prayer is to help him remember that it is time for an activity change. Quiet time over. Move on to active play at Asr. Active play over. Pray Maghreb and move over to dinner and homework. Eating and homework over. Pray Isha’a and sleep. This makes him think of prayer as a part of his schedule. To an extent, this has worked for us but then again… Sending him to the mosque is still challenging. He has to get out of the house. He has to leave what he is doing, Wudhu, put on his shoes, walk to the mosque and pray. It takes effort, which he isn’t willing to put in. Allah humma inni asaluka min fadhlik- O’ Allah, Verily I seek of Your Bounty. I tell him that this is the special Dua he gets to pray at the threshold of the mosque and also the meaning of it. If you haven’t talked to your child about this Dua, I recommend you do. This is something all children should know when they start going to the mosque. A mother has got to do what she has got to do to send her son to the mosque. The reward is just too much to not care! Don’t laugh! The struggle is real. A mom has got to do what a mom has got to do to send her child to the mosque. Remind him well in advance: It always helps to prepare your child for prayer. If they know how much time they have it helps them with transitioning from one activity to another. I start by telling him that it is 10minutes to Asr. Please finish up and get ready. I’ll remind him again in a few minutes that it is 5 minutes or 2 minutes so ‘please hurry up, put the toys away and prepare yourself’. He hears the Adhan. Most days he is done but sometimes he is adamant. I have to tell him to go till the Aqamah. Have a Reward ready. Sometimes there will be ‘mom please not today. I am too tired.’ or just some xyz excuse. I bribe remind him with, ‘please go to the mosque I will be baking a cake and I need you to taste it after you come back. We can have a mom and son party’ or some excuse that says ‘if you go, I will give you something’. Stars and Stickers. As with all positive enforcement tricks, this works best. I don’t give an X but only stars or smileys. In the beginning, I gave him stars and he loved getting all stars but soon he grew bored so we shifted to a smiley for every time he went without a reminder. Tick chart. We also had a tick chart that goes up and down every few weeks. It is a simple chart where he gives a tick for every time he went to the mosque. This helped him feel accomplished. The difference between this and the smiley or star chart is that the other charts were coupled with other activities that needed positive results but the tick chart is for counting how many days or times he went to the mosque. Competition with his dad. Fathers are the best role models. We have a tick chart that is for both father and son. It is like a little competition as to who gets more ticks. When it is up, he loves beating his dad to go to the mosque. Get a mosque buddy: Can you find him a mosque buddy? My son’s buddy has been his grand dad, his neighbour and another play mate. At Maghreb, D is usually playing outside. He finds it hard to go by himself so one day, I called his friend to ask him to go with him. They could resume play when they came back, I told them. The friend had just turned seven and he hadn’t been going to the mosque yet. He was very excited and ran to his mum to seek permission. The mom was happy that her child was so eager and had an older friend to look over him. It worked! Sometimes the friend is not around but my father lives close by and D is very fond of his grandfather. He loved going to the mosque with his grand dad. Get an accountability partner. My father turned out to be a very good accountability partner. The few times that he couldn’t take his grandson, he would ask him about it later. Or at Isha’a he would ask him his reason for not going. Son would go because grand dad would be asking. Send him to a different mosque. If you have another mosque in your area that someone could accompany him to, this could be the motivation he needs. On weekends, when he is at home with his father, I have found it works to send him to a different mosque. We live in Jeddah and our area has quite a few mosques. If he leaves a little early, he can very well catch the congregation somewhere else. Of course, I have to make sure someone accompanies him for this trip though. Make excuses for him to need to get out. Some days when he is totally not going, I use the shopping trick. Please get me XXXX on your return. That means he has to go to the corner shop or get tomatoes or ice cream while returning from the mosque! ‘When all else fails , Just grab his arm and throw him out’. Then there are those days… When I throw him out. Sigh. Sorry to say, this is one thing that I have become a pro at. I used to throw my brothers out. Now, I throw my son out. Some days, I just have enough of the arguing and since prayer is nothing to bargain over, I just grab his arm and throw him out. His slippers are thrown out after him. He can sit outside on the steps or he can go for prayer. His choice. A mum’s gotta do what a mums gotta do to send her son to prayer. I know this is just my experience on how to encourage children to perform Salat. But I am sure that with perseverance these will work. If you are a mum to a son and have experience or funny incidents, do share your advice. What do you do to send your child to the mosque. I’d love to add your ideas to the post too. JazakAllah Khair for sharing. Great advice and tips for mothers with sons. Okay so I am going to bookmark this post for future use. My son is too small to go to the mosque at the moment but Insha Allah once he grows old enough, I would definitely want him to go. Masha Allah, It’s great that you live in a place where it’s safe to send your boy to the masjid alone or with a buddy. That’s a luxury not available to many in our world today. As an educator, I like the points you made about using charts, an accountability partner and also going to different masjids. May Allah guide us to making our boys among those who are sincerely attached to the masjid. Hahaa, I really like your list. I think you have some great strategies on there. I will definitely be using some when my son is at the age of Salah.